1 The Aegean – A Biker’s Paradise? 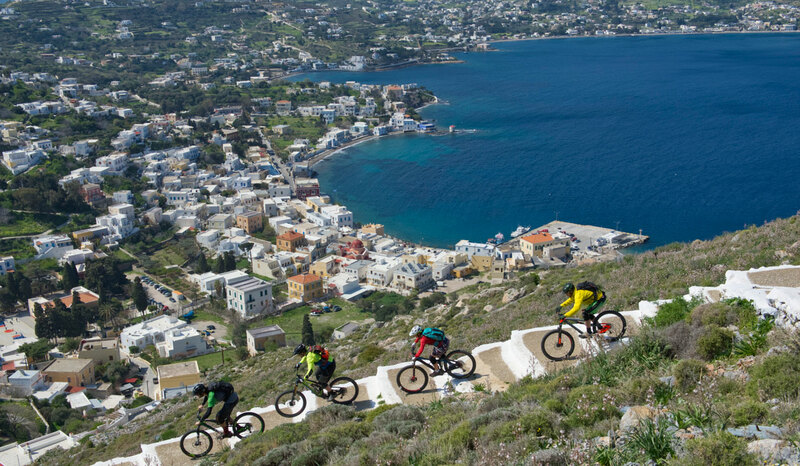 2 The 5 most exciting Bike Vacations in Greece! The Aegean – A Biker’s Paradise? TRAIL – These five letters make every biker’s heart beat faster and bring a mischievous broad grin across his/her face. 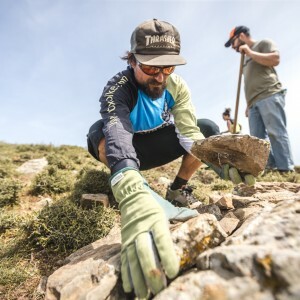 TRAIL – Simply the sacred word for mountain bikers! 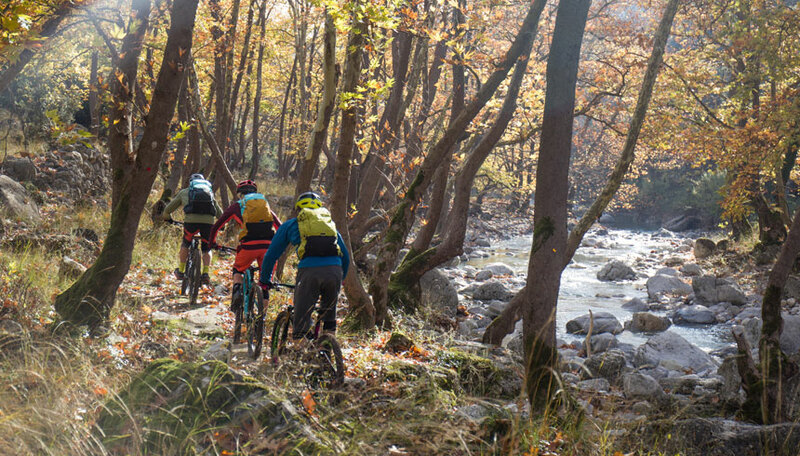 Mountain bikers come wherever a trail is. 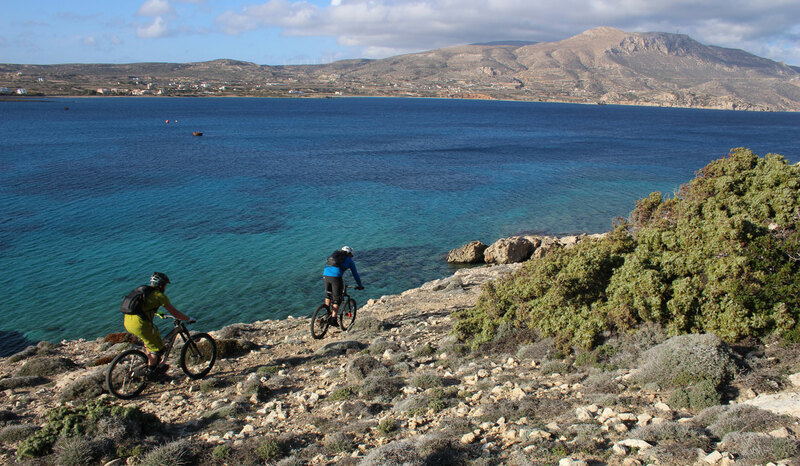 And indeed, biking in the Greek Aegean is not longer a vision, but already a growing reality. 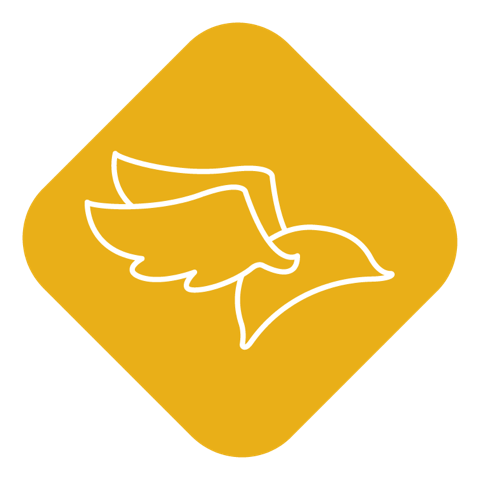 During the last ten years a great number of carefully planned and designed trails were built in various regions of the Aegean Sea. 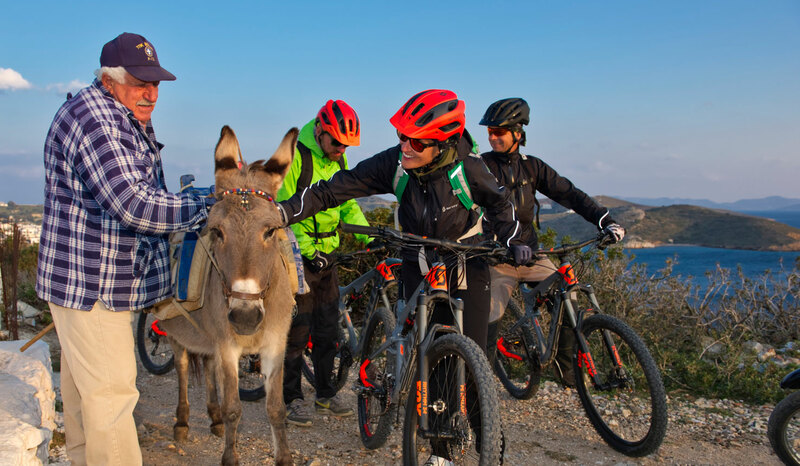 By maintaining the historic donkey paths and building new paths a real trail paradise is developing all around the Aegean. 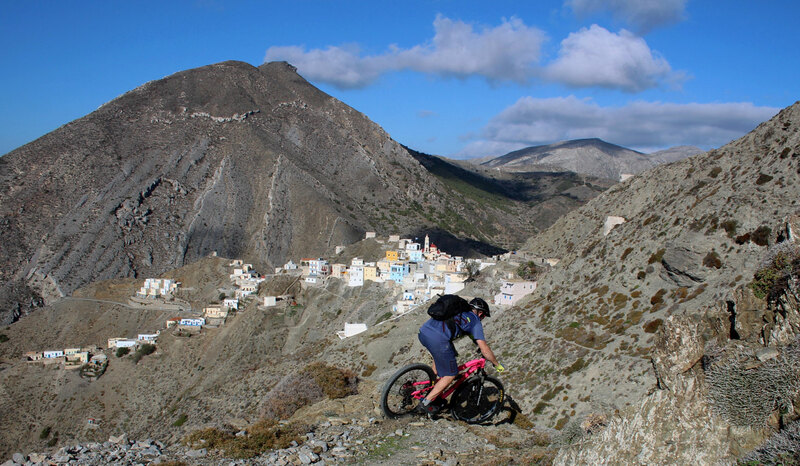 The 5 most exciting Bike Vacations in Greece! 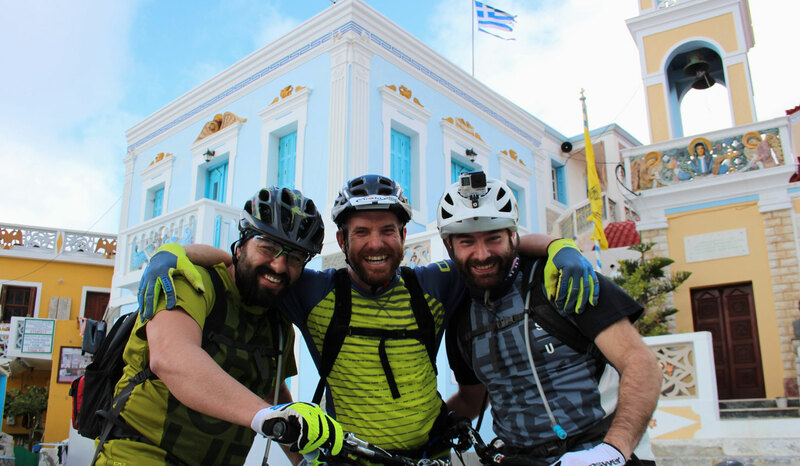 Trails of Zeus – Guided bike & hotel tour to Thessaloniki and Mt. Olympus: A fantastic All-Mountain Adventure that combines the suburban trails around the vibrant city of Thessaloniki with the legendary Mt. Olympus, stomping ground of Zeus himself. A multi-day tour with great trail share and worth-seeing cultural highlights by Outline Adventures. Islandhopping by bike & boat in the Greek Aegean: A guided cross-country tour by bike & boat to the islands of Kos, Leros, Nisyros and Tilos: Move in on board a charming motor sailor for the week and enjoy a journey through the fascinating island world. 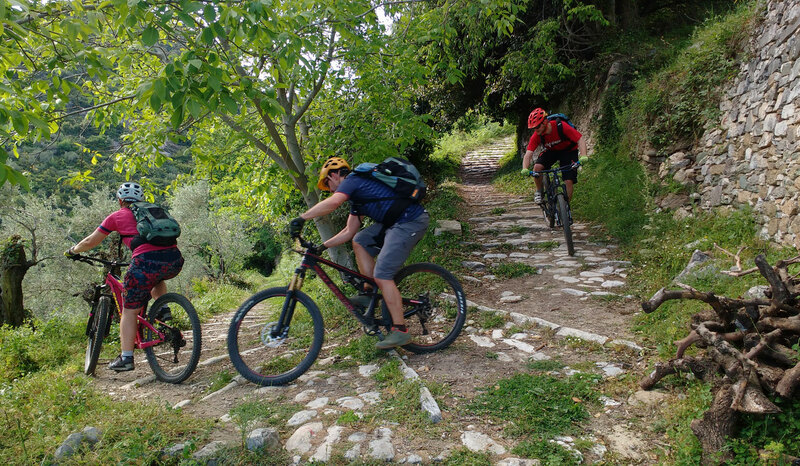 Bike every day on fantastic trails at a different place while your floating accommodation just follows you. 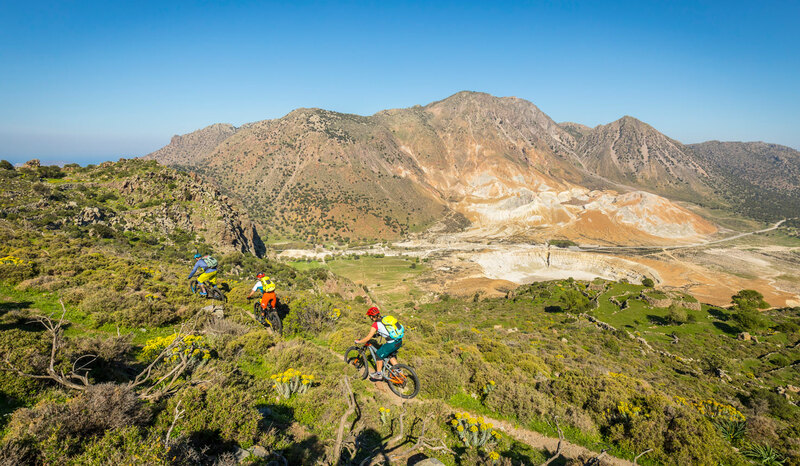 Karpathos Mountain Bike Adventure: A great guided bike and multi-sport week on the authentic Greek Island of Karpathos. Enjoy a stay in the luxury ION Club and experience this lovingly Aegean isle by bike. Take your chance to try some bouldering or to learn windsurfing too. Weekly parties and BBQ`s add to that relaxed holiday feeling. 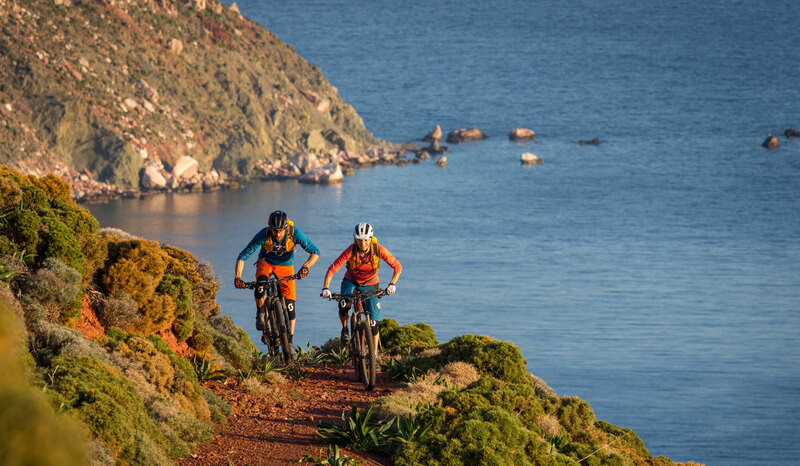 Kos, Patmos & Leros by Hotel & Bike: Excited for island life? Eager to shred? 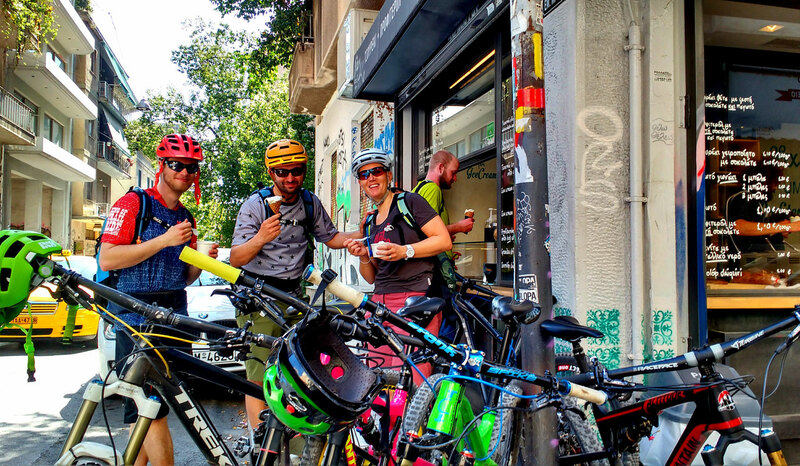 Then this bike & hotel tour in the Aegean will satisfy your wildest wishes. 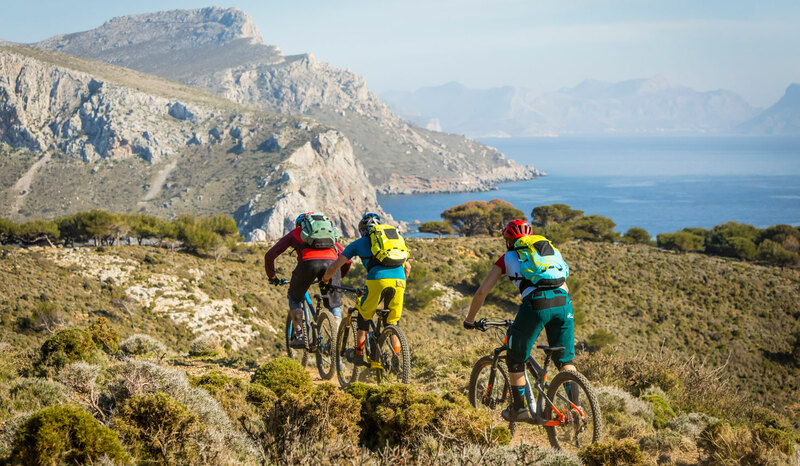 This guided cross-country tour leads you to historic donkey paths and newly built trails with perfectly shaped berms and fluid flow lines. Stay in superb bike-friendly hotels on these dreamy islands and enjoy the incredible Greek hospitality. Athens, Pelion & Mt. Olympus by Hotel & Bike: The famous Greek capital of Athens, the Pelion Peninsula which is a Garden Eden on earth and the nearby Mt. Olympus all combined in one incredible tour. 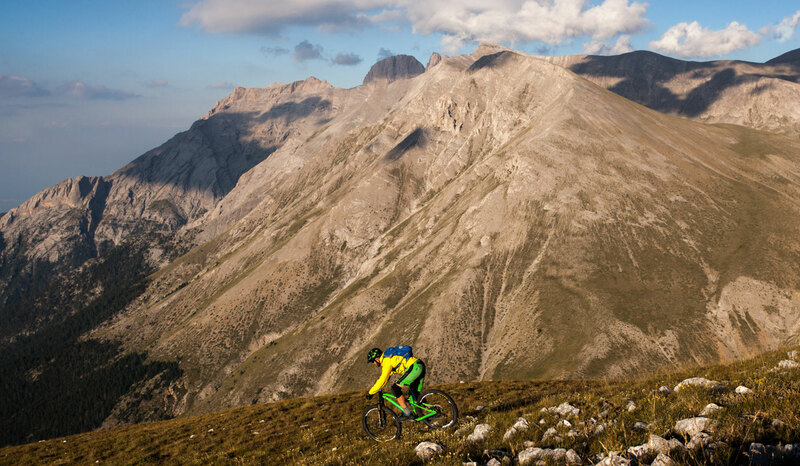 Grueling climbs followed by endless descents with the majority of trails demanding a high level of technical ability. 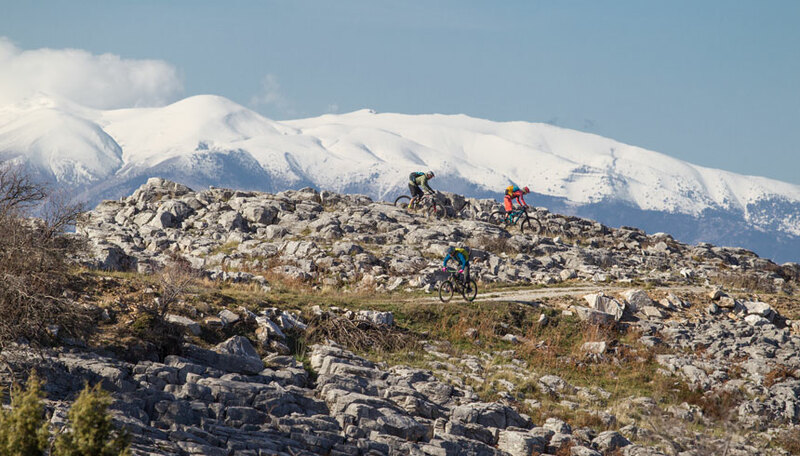 A perfect MTB experience for All-Mountain and Enduro riders looking for an adventure to conquer. What are you waiting for? Off to Greece!